Your Good Ski Guide has again topped all competitors by staging an unbeatable star ski prize. 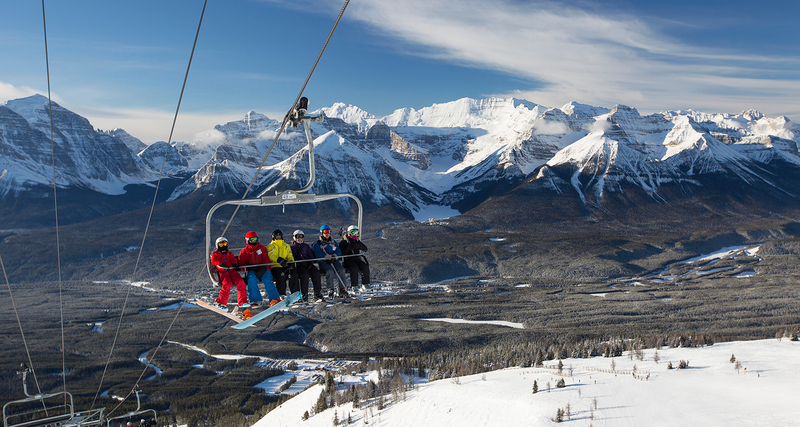 Whilst Europe’s ski season is hanging up boots after Easter, Canada’s best resort Lake Louise, is in mid-season full swing and two of our lucky readers can win a spring week at Lake Louise resort, with flights from Canada’s other best company – Air Canada. 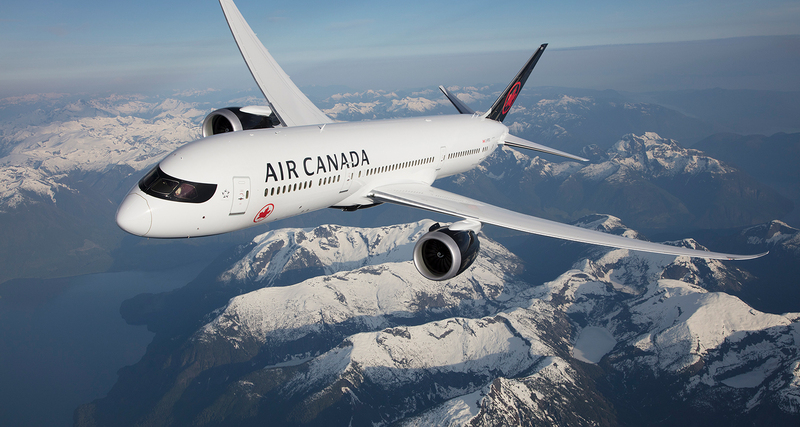 Lake Louise, for the fifth year in six, has won the award as Canada’s best at the World Resort championships and Air Canada has been voted Best Airline in North America at the airline industry’s Oscars – for the seventh time in nine years. And it is a triple triumph for the region because the nearby Western ski town of Banff, where our winners will lodge, has just won the World’s most visited resort title from Instagram. 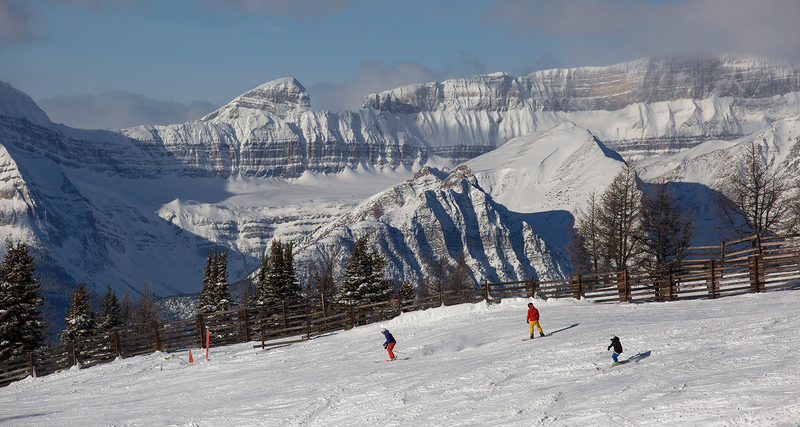 Conditions at Lake Louise resort are always great in season – and often the snows last until May. And European skeirs will love the size of the resort because Lake Louise mountain has hundreds of miles of runs, and any winner would need some weeks to achieve a full house of runs. Indeed, you are likely to feel alone on the mountain during the week as the crowds of keenies are mainly from nearby cities thus often weekend skiers. 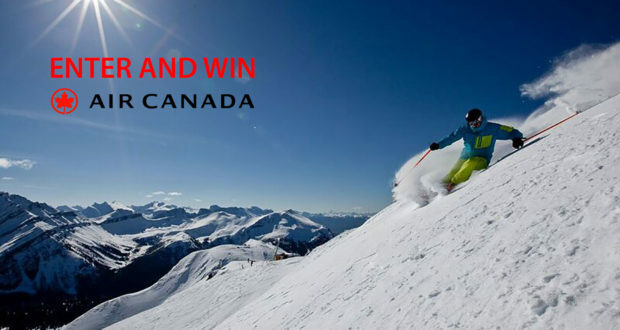 This prize draw is open to residents of the UK aged 18 years or over, except employees and affiliates of Good Ski Guide, Air Canada, Lake Louise Ski Resort, winner’s hotel employees’, families or anyone else professionally associated with the draw. Only one entry person. One winner will receive two economy return air transportation tickets on Air Canada from London Heathrow to Calgary International Airport. Air Canada is only responsible for two economy air transportation tickets on Air Canada including local air departure taxes and surcharges. The prize winner and their travelling companion are responsible for any and all additional costs – including transport to and from the airport and all expenses and taxes not expressly described herein. The prize tickets on Air Canada are valid until 30/06/20, subject to seat availability. Travel is not permitted in peak periods (11 July 2019 to 03 September 2019; 18 December 2019 to 7 January 2020). All travel must be completed before expiry date and no extension of validity will be made. Other data restrictions may apply including dates when the hotel is fully booked – normally only holiday periods. Prize tickets on Air Canada are not transferable, refundable or upgradeable and stopovers are not permitted. No cash alternative will be offered. Once booked, no changes can be made. Prize tickets on Air Canada are not eligible for Aeroplan points or denied boarding compensation. It is the responsibility of the winner to purchase travel insurance and to ensure they and their guest have a valid passport and meet Canada Border Service Agency requirements. Data protection: Good Ski Guide and Air Canada may wish to contact you with the details of relevant offers and promotions. If you do not wish to be contacted by email or post, please tick the box on the online form. Previous: FLY THE BEST TO SKI THE BEST!